Ongoing reports on the 26th Fribourg International Film Festival which Modern Korean Cinema will be covering all week. I was originally going to see this later in the day but I realised that the timing was a little too tight so I opted to catch it in video library in the morning. I didn’t have much time so I ended up not giving it my full attention. Never Too Late is another film in the international competition and is the first Israeli film to be produced entirely through crowd-sourced funding. The film tells the story of Hertzel, a young man who returns to Israel after eight years spent in Central and South America. He takes a job placing advertisement posters which sees him traveling up and down the country in his late father’s old Volvo. During this road movie he meets various friends, family and strangers in what becomes a voyage of self-discovery. Some of the imagery is quite beautiful and much of the dialogue illustrates the present state of Israeli society but I found it to be a slow film which I had difficulty engaging with. Though again I must stress that I don’t think I gave a fair chance. Generally speaking I’m not overly keen on introspective road movies and this one didn’t seem to offer anything new. Not much in the way of narrative is on offer for spectators which for me was a little frustrating but I could feel that there was a strong emotional core at its center that I wasn’t quite able to reach. Perhaps a more attentive viewing would have resulted in a more satisfying experience. 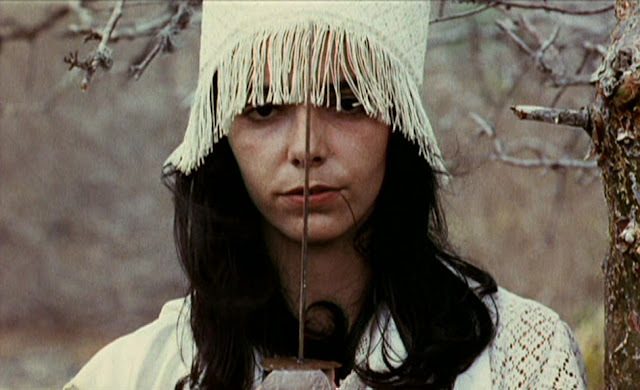 Part of the ‘Once Upon a Time in the South’ retrospective, Antonio das Mortes is a fascinating and bizarre offering from Brazil that would make a great double feature with Jodorowski’s surrealist masterpiece El Topo (1970), also programmed in this section. Rocha’s film takes place during the Sertao period in the 1940s and follows Antonio das Mortes, a mercenary hired by a town’s patriarch to wipe out the cangaceiro bandits. However he comes to sympathize with the revolutionaries and goes against his employers. The opening of the film is full of energy and it is quit infectious, I was immediately drawn into the environment but from there on most of the film is dialogue-heavy and because I had no prior knowledge of this period of Brazilian history it was a little difficult for me to understand the various terms being bandied about. Things pick up again near the end as the events become progressively more bizarre, stretching into surrealist territory. The character’s actions become manic and deranged and I was swept up in the insanity of it all even if at times I wasn’t quite sure why. I wish I’d known a little more about the context of the film prior to watching but I’m very glad I had this chance to witness this fiercely original film on the big screen, one that was also mentioned in the 100 films for 100 punches finale of the brilliant Cut which screened at the FIFF on Day V.
Salama’s film starts off with a very dour tone, the images are graded with a cold blue hue and the circumstances of the film’s namesake are desperate. Asmaa is a 45-year-old mother-of-one who lives with the secret that she is infected with aids. Through her support group she is approached by the producer of a local telejournalism show which wants to highlight her plight, which is that no doctor will operate on her gallbladder problem because she is a HIV-invented patient. However, further complicating matters is that the show’s presenter insists that she appear without her face blurred which could have disastrous consequences. The film really starts to build momentum when we periodically flash back to her youth in the countryside and these sequences are full of brilliant color, in direct contrast with the modern day sequences set in Cairo. Salama builds the film towards the double climax which will reveal the source of her infection and whether or not she will appear on the show. A number of films during the festival have highlighted the unfair role of women in various societies, including One, Two, One and Where Do We Go Now?, but Asmaa may be the one that hits home the hardest. Asmaa gets better and better as it motors along and by the end I was utterly gripped and truly taken by the protagonists remarkable strength. 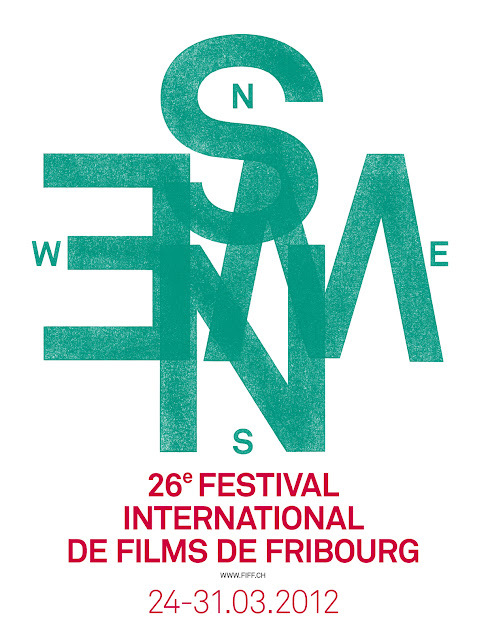 One of the best films of the festival that stands a good chance of winning the event’s top prize. Another competition film, Belon’s In the Open was not what I was expecting. It is a domestic drama carefully constructed through a series of genre tropes most commonly associated with horror. The effect is altogether complementary and lifted the admittedly thin premise up to a higher level. A young, beautiful Argentinian couple move with their daughter from Buenos Aires to the countryside. They take residence in a rundown home in need of repairs in a fairly downtrodden and barren rural area. Their seemingly healthy and very passionate relationship quickly falls apart as the wife feels very ill at ease in her new environment. The mise-en-scene is polished and the creaky house may as well be haunted and if this weren’t enough to signal what generic territory the film resides in, there’s a creepy old female caretaker who casually enters their home without permission and is a little too handsy with their daughter. The husband does not seem to mind though, in fact he seems thrilled to be in a space where he can exercise his masculinity. He fixes things, chops wood, hunts and takes his woman every night. While he enjoys himself, the wife becomes irrational, unpleasant and very selfish. She is very dislikable and comes dangerously close to being a caricature. I really liked the film's small moments, it's austere atmosphere and the constant tension that Belon succeeds in ratcheting up is well earned. A great little surprise, In the Open is not going to enchant enough people to win the week's top prize but I was very happy to see a little dash of genre and original filmmaking in the main competition. This was my second time seeing Countdown but the first time on the big screen. My thoughts on the film haven’t changed much. That is to say I felt it was a missed opportunity and one that while well made, felt a little flat and uninspired. I had previously criticized the production values but after seeing it on a cinema screen I a happy to retract that statement as it is indeed a very handsome film that employs a solod and unobtrusive colour palette. For my complete thoughts on Huh Jong-ho’s Countdown, which was part of the international competition, please read my review which was poster earlier this year. I will be sitting down for an interview with director Huh this morning, this should be available near the end of or just after the festival.